7. Does your child have an IEP? The IREAD 3 test will be a short exam given to the third grade students March 18th-22nd. It is very important that every 3rd grade student is present for this test. Children who do not pass this test will have an opportunity to attend a remedial summer program offered by the TSC. The exam will then be re-administered to those students in June. We will be having parent-teacher conferences March 11th-15th, with evening times available on Tuesday, March 12th and Thursday, March 14th. Please remember that these meetings are scheduled back to back so it is very important that you show up on time in order to keep everything on schedule. If you need to reschedule your conference please notify us as soon as possible and understand that spaces will be limited. With cooler weather, it's important to make sure your child is dressed appropriately. Please make sure your child is prepared to go outside with a coat, hat and gloves for recess. We will go outside to recess each day unless it is raining, snowing heavily, or the temperature is below 20 degrees. Please check the weather report daily to help your child make appropriate choices in what to wear. Per TSC policy, all students are required to go to recess each day unless they have a note from the doctor. If your child has outgrown a coat and you no longer have any use for it, please consider donating to our caring closet for students who may not have one. Also, if your child is in need of a coat, hat or gloves please contact us and we will try to get one for them. Please do not send your child to school if they have had a temperature over 100, vomiting, or diarrhea in the last 24 hours. If a student is sent home from school for fever, vomiting or diarrhea they will be out the following day as well. Students CANNOT bring medicine to school. All medicines & inhalers have to be brought to school BY THE PARENT. Cough drops CANNOT be sent to school either, we have cough drops in the health room students can take when needed. PLEASE SUBMIT ALL BOX TOPS BY MONDAY, FEBRUARY 25TH. Please do not forget to sign up for text alerts and notifications so you can be notified of a delay or cancellation. Parents/guardians must have an active PowerSchool Parent Portal account with an accurate email address in order to sign in to the website. To sign in for the first time, you will click the "Forgot Username or Password" option on the website login page, then enter the email address associated with your PowerSchool account. You will then reset the password for the website account, add a cell phone number and register for SMS (text) alerts. 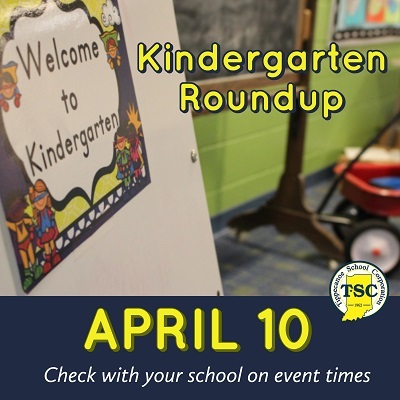 TSC students and staff will sign in to the website with their TSC username and password. Please contact the TSC Technology Department with any questions regarding this process by email or by phone at 765-269-8060. With winter weather approaching, the possibility of a 2 hour delay increases. If the delay is 2 hours, school will begin at 10:50am. Students should not come to school before 10:50am. If your child rides a bus, the pick-up time will be delayed by 2 hours. For example, if your child's bus comes at 8:35 on a normal day, it will arrive at 10:35 on a day we have a 2 hour delay. On 2 hour delay days, we will not serve breakfast. Our lunch will begin serving at 11:30, our regular time for Kindergarten. We again encourage everyone to register for the text message alerts. It is the most convenient notification concerning delays, closings and other events at Mayflower Mill Elementary. 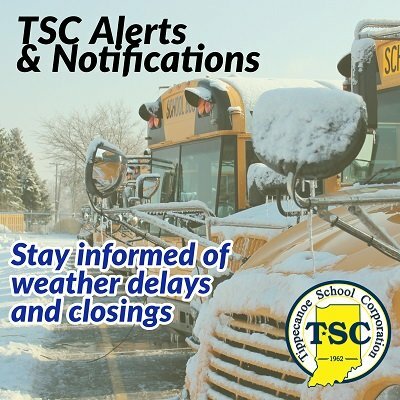 The TSC web page is also a fast way to learn about school delays and closings. Wea Summer Rec registration is open and will run from now until March 17. It is encouraged to sign up early to be ensured of a roster spot. During registration, Wea will monitor numbers for roster sizes. 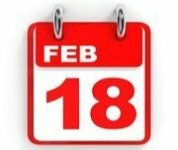 The board, at its discretion, may close certain leagues for registration ahead of March 17th, and place any player wishing to play after that date on a "waiting list". If enough players are interested to satisfy rosters, they may then accept the waiting list players on a first come first served basis. Wea will post via social media and organizational emails to notify past players when this situation may arise for a fair warning ahead of time, as much as possible. All leagues are subject to having enough coaches for teams. If they run into a case where they do not have enough volunteer coaches to suffice the number of players registered, they will go off order of registration date for how many teams they can field appropriately. Those left without a team will be refunded if no coach is found. Please visit weasummerrec.com to get your player signed up for their baseball/softball program today! Order forms for the school yearbook have been sent home. They are $15 each and need to be ordered by March 1st. Please make checks payable to Lifetouch.